We have an extensive selection of quality frames so you can get the exact look that you want. 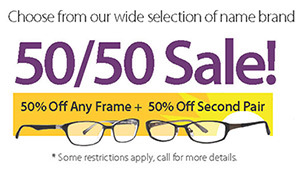 Wide frame selection, quality-crafted lenses and great prices! We offer a wide selection of designer frames as well as stylish economy frames for your entire family, including memory frames which retain their shape despite life’s little mishaps. We provide all the latest lenses, including light-weight polycarbonate lenses, high-definition lenses and multifocal, as well as transitional, anti-reflective and scratch-resistant lenses. Learn more about our lenses. Whatever your style or budget, we are confident that we have several frames that you will love. This includes designer brands at great prices and lower-cost frames to accommodate any budget. Dr. O’Donnell will make sure you get the correct lens prescription for your eyeglasses and our knowledgeable optician will help you select a frame that is right for your face and your lifestyle. We also use the best quality labs around. Our labs do precision work and have a quick turnaround time. We have a great selection of designer, economy and wire frames. We’re sure to have the style you’re looking for at a price that you can afford. You can choose from lightweight metals, colorful plastics, rimless frames and unique designs. Our staff optician is well-trained in fitting glasses as well as assisting you in choosing the frame that best matches your face shape and coloring while satisfying your taste in style. With our dedication to quality, durability and variety, the frames you get from us will not only last, but also look great throughout their entire lifetime. Our brands of frames include Flexon, Marchan, Rec Specs, Harley Davidson, Valentino, Fendi, Vera Wang, Dana Bachman, Jhane Barnes, Comfort Flex, Timex, Lilly Pulitzer and many more. 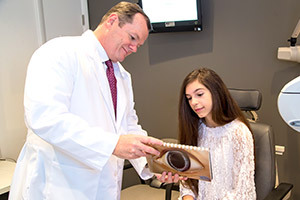 Dr O’Donnell will educate you on proper nutrition for good eye health. A child’s vision needs do not end with their eye exam. That’s why we make children’s eyeglass frames fun to shop for. We offer eyeglasses that are styled and sized just for children. 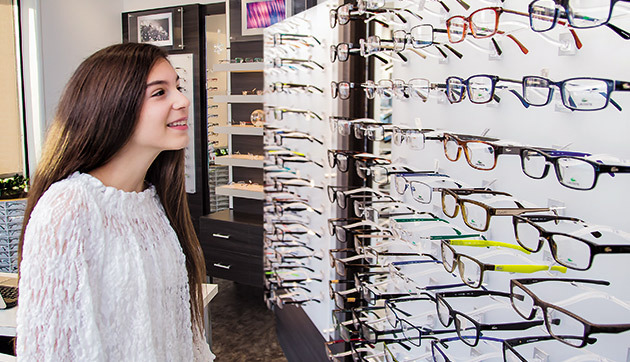 Our staff optician is dedicated to providing well-fitted eyeglasses for kids. Your child will feel great about wearing their new glasses to school, knowing that they are looking their best. Whether for school or the playground, children’s frames must be strong and at the same time look good and be comfortable to wear. Our kid’s frames are durable, flexible, fashionable and comfortable. There are many children’s frames to choose from, including designer, in a wide range to fit any budget. The name brands of children’s frames we carry include Thalia, TMX and Little League Baseball among many others. We also carry Rec Specs glasses for any children who play sports. Visual needs, lifestyles, personal taste and budgets are different for everyone. New Era Eye Care recognizes this and stocks dozens of styles of sunglasses in all colors and sizes. When it comes to sunglasses, we excel at providing the highest fashion, quality and service – all for a price that is reasonable. Most of our designer sunglasses can be fit with prescription lenses so you can look good and see great. Our optician will help you select a pair of sunglasses that will compliment your face shape and your lifestyle. During your fitting our optician will ask you how you’ll be using your new sunglasses. Will you be using them at the beach? Reading? Driving? All of these activities and more will be covered during your fitting with us. 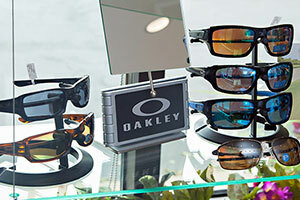 Our brands of sunglasses include Ray Ban, Spy, Maui Jim, Harley Davidson and Sketchers among many others. A lensmeter is used to check the prescription of your lenses. The performance of your eyewear doesn’t just depend on the correct prescription, but also on the selection of the frames, proper lens design and individual measurements when creating your glasses. Our optician will help you pick frames according to your face shape, skin tone and eyebrows, while taking into consideration your job, hobbies and lifestyle. She then custom-fits the frames to your face. Once your new glasses with their lenses have arrived, our optician can do a final check with our auto lensmeter to verify that the prescription of your eye glasses is correct and to confirm the correct mounting of lenses in the frames. We offer all the latest innovations in lenses to give you the sharpest and clearest vision. Our modern polycarbonate eyeglass lenses are lighter, thinner and more scratch-resistant than glass or plastic lenses. 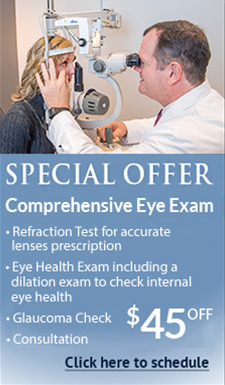 They are made in labs proven by Dr. O’Donnell to have the quality necessary for the clearest vision. Computer glasses —these can be single vision, bifocal, trifocal or progressive and are designed to prevent eye strain. They are usually made with anti-glare coatings. Once Dr. O’Donnell has determined your exact prescription, he briefs our optician on your additional needs, such as Transitions or progressive lenses. She will also discuss with you the additional options available for your lenses. Dr. O’Donnell uses the best quality labs to make your new eyeglasses to ensure accuracy and the clearest vision possible. These are national labs that are located nearby and have a quick turnaround. Single vision lenses have one viewing area throughout the lens and this corrected area can be for distance, near distance or reading. Single-vision lenses can also function as occupational glasses for certain types of work. Bifocals are some of the most commonly prescribed multifocal lenses. A small area of the bifocal lens is reserved for closeup vision correction while the rest of the lens is usually a distance correction. Trifocal lenses have three points of focus: usually for distance, intermediate and close-up vision. Trifocals have an added segment area above the bifocal for viewing objects about an arm’s length away. 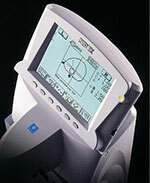 Flat top trifocals are the most-widely used type. The flat top bifocal is shaped like a semi circle with a straight line at the top. Progressive lenses correct vision for multiple distances without the visible segment lines of bifocal or trifocal lenses. People like progressive lenses because they look like single-vision lenses, never revealing the need for bifocals.